We hold our annual Open Day on the first weekend of February each year (details to be advised). 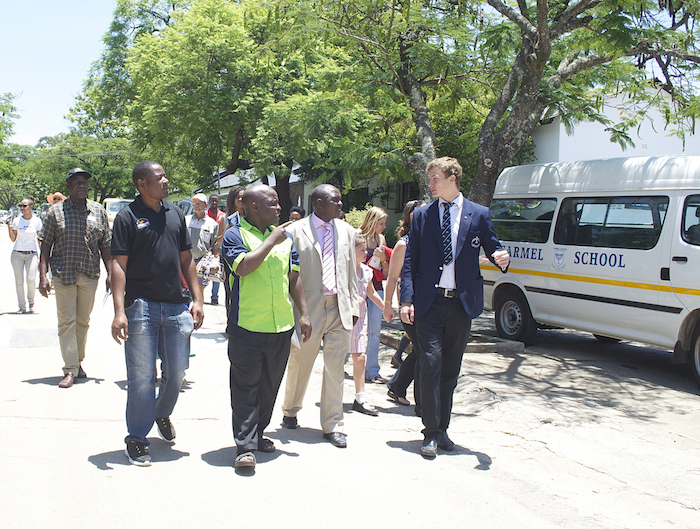 The Open Day is aimed at prospective Grade 6 and 7 pupils and their parents. We ask that all prospective pupils wear their number one uniform from their current primary school. This day is to show exactly what Falcon College is all about. You will hear from the Headmaster, Staff and Student leaders. You go on a tour of the College with our College Prefects and have the opportunity to ask them about Falcon from the perspective of a student who has come through the system! Don’t be influenced by the students as to which boarding house your child should go to – they are fiercely proud and loyal to their own house! This is indicative of the brotherhood that is formed amongst the boys during the course of their careers at Falcon. We encourage you to attend at least one of our Open Days. If this is not logistically possible, please contact the Headmaster’s secretary on head@falconcollege.com and we can set up an appointment for you to visit the College when you are able to visit our “Oasis of Excellence”.